The Muslim community in the UK has launched a campaign against active attempts to halt halal animal slaughter in the country. The issue of halal slaughter hit the headlines earlier this month when animal rights campaigners released footage of animals at a halal slaughterhouse in North Yorkshire being kicked and mistreated. Observant Muslims are forbidden in Islam to eat meat from animals that have not been killed by having their throats cut with a sharp knife while conscious. Some Muslims believe that a mechanised form of killing also conforms with religious precepts. EU and UK law requires all animals to be stunned before slaughter, to render them unable to feel pain, but non-stun slaughter is permitted for certain communities, including Muslims and Jews. The petition comes in response to another online petition organised by animal welfare activists which calls for a ban on killing animals without first stunning them. It has attracted over 115,000 signatures. “We must differentiate between religious and non-stun slaughter,” the petition argues. “Our concern does not relate to religious belief but to the animal welfare compromise of non-stun slaughter,” it added. Its supporters say animal rights activists and research groups and societies, including the British Veterinary Association, have scientific evidence showing that non-stun slaughter allows animals to feel pain and compromises welfare. The petition, which was created on the British government’s e-petition website, is open for signatures until the 31 March 2015, but has already acquired enough signatures to be considered for a debate in parliament. As of the 22 Feb. 2015 it has 109,731 signatures. In a response, the UK Department for Environment, Food and Rural Affairs has said that “there will be no ban on religious slaughter in the UK” but that labelling protocols may be changed. “We are awaiting the results of a European Commission study on method-of-slaughter labelling which is due this summer. We will look at possible options in light of that report,” it said. In response, the petition being supported by the Muslim community argues that religious slaughter must be protected, saying that both Judaism and Islam require adherents to treat animals with kindness and to minimise pain when slaughtering. It adds that scientific evidence shows minimisation of suffering when religious slaughter is practiced properly. They also warned that stunning in abattoirs frequently fails to effectively stun the animal, thereby causing suffering. “The British Veterinary Association and others opposing religious slaughter should focus on improving the competence of slaughterers who stun, instead of attacking methods that have been shown to minimise suffering,” the petition said. 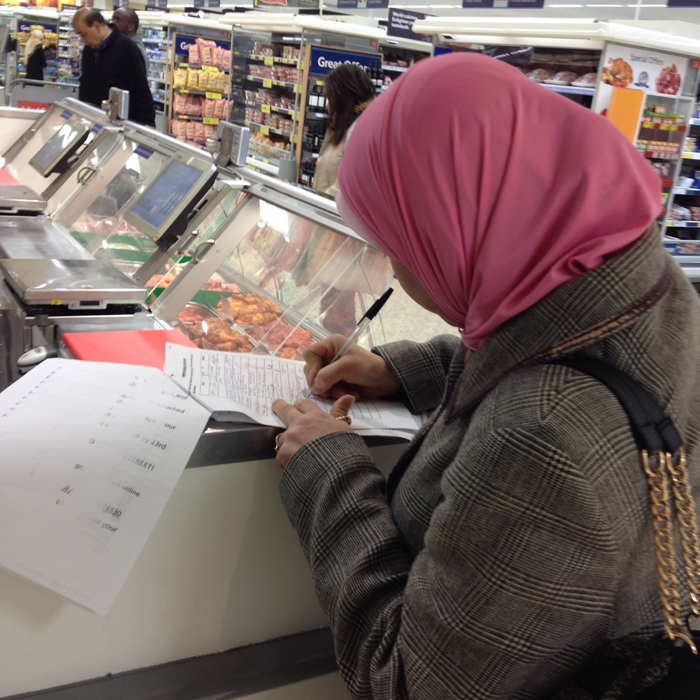 Many Islamic community organisations in the UK have been lobbying in support of the petition. The Muslim Council of Britain has encouraged supporters to sign. “Together, we can protect non-stun religious slaughter,” the body said in a message to the Muslim community. The most recent census showed that Muslims make up 4.8 percent of the British population. The UK halal meat business is estimated to be worth about £3 billion ($4.62 billion). Some studies found Muslims eat more than 20 percent of all red meat produced in England. 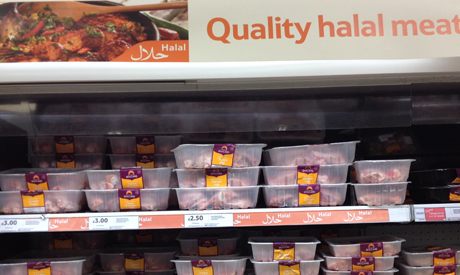 The largest superstores in the UK, such as Tesco, Asda and Sainsbury’s, now have special sections for halal meat to satisfy growing market demand.